Elected delegates have enjoyed strong support from Party members. Lei Bicao was happy to find out that one of the candidates she had recommended was elected as a delegate for the 19th National Congress of the Communist Party of China (CPC). Lei, who has been a Party member for 26 years in Linwei District in the city of Weinan in northwest China's Shaanxi Province, recalled clearly the recommendation process earlier this year. "At a mobilization meeting, the secretary of our Party branch announced the qualifications and conditions for candidate nomination and the strict voting discipline then distributed a recommendation form to everyone who had the right to vote," Lei said. The next day, Lei recommended four candidates, including Jia Xiangdong, deputy head of the district's Party organization department. Lei said she believed Jia to be an excellent candidate, capable of exercising the duties of delegates on behalf of ordinary Party members like her. A total of 276 delegate candidates were initially recommended in the province. Officials accounted for 35 percent and Party members on the frontlines of work and production made up the remaining 65 percent. 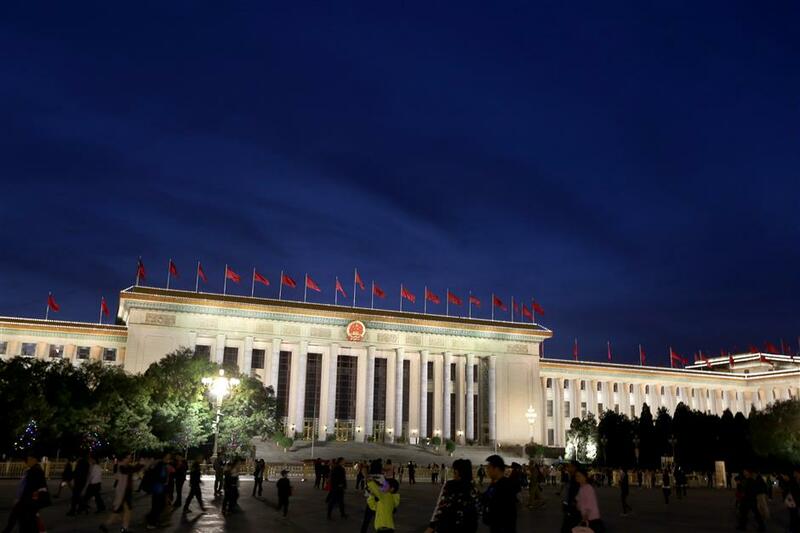 The preliminary list of candidates was shortened to 60 after a comprehensive selection process by the CPC Shaanxi provincial committee to ensure broad coverage and proper structure of the candidates. In May, Jia and 43 others were elected as delegates to the Party's national congress at a meeting of the 13th CPC Shaanxi provincial congress. Jia's name was on the list of 2,287 delegates elected to attend the five-yearly national congress on behalf of more than 89 million Party members and 4.5 million grassroots Party organizations. The congress is set to draw a new blueprint for the country's development. "As a grassroots Party member, I feel it is my mission to recommend delegate candidates I trust," Lei said. The process of selecting delegates featured wide and active participation of Party members across the nation. All grassroots-level Party committees were included, with 99.2 percent of Party members participating, 1.2 percentage points higher than the figure for the 18th CPC National Congress, according to official data. Yan Weiping, an official with the Party committee of Renmin sub-district office in Linwei District, said the 24 grassroots Party branches under the committee adopted measures to guarantee the participation of all 883 Party members in the sub-district. "We organized a meeting for local Party members. We solicited the opinions of 130 Party members outside the area via telephone and WeChat, an instant messaging service. We visited the homes of elderly members, taking recommendation forms and explaining the policy face to face," said Yan. The right to vote is valued by Party members. "I have no reason to neglect such an important role in recommending congress delegates," said Yi Hongliang, a Party member who runs a private company. After receiving the notice to attend a Party branch meeting, he canceled a business trip in Xi'an, the provincial capital, and returned to Weinan to attend the meeting. "Without the Party's policies, I could not have operated such a successful enterprise," said Yi. "When I wrote down the names of preliminary candidates, I really felt it a very important matter." In Shaanxi, 98.73 percent of Party members participated in the delegate recommendation process. Opinion polls and interviews were conducted by provincial Party authorities to assess the comprehensive performance of selected candidates. "Comrade Wu Xiangqin has a strong Party spirit and a pragmatic work style. She has visited every corner of the village and helped needy families get rid of poverty through planting walnut and chestnut trees as well as silkworm breeding," Zhang Yuancheng, a Party member in Shaanxi's Fengshou Village, said about Wu, the village's Party secretary who was elected as a delegate to the Party's 19th national congress. Ling Jihe, a 56-year-old farmer and entrepreneur in east China's Jiangxi Province, was elected as a delegate to the 19th CPC national congress. His company manages more than 1,000 hectares of crops transferred from migrant workers. He has rewarded outstanding farmers over the past six years and increased the incomes of hundreds of locals. "Since his business started, Ling has become a role model for local residents," said Wan Julian, Party secretary of Xilu Village. Ling said he would work hard to live up to the expectations of farmers. In Guangdong Province, Weng Muhong, an agricultural technical expert in the city of Shantou, failed to be elected as a delegate after being placed on the list of recommended candidates. "I completely understand the result as it was a concrete expression of opinions among Party members," said Weng, adding that via participation he felt true intra-Party democracy.